I was invited to a belated Christmas party by one of my clients and long time friend on Friday at the pub in Shellharbour, a lesser know beach town 2 hours south of Sydney. I was very pleasantly surprised by the quality of the food not to mention the beautiful setting. So today I thought I would recreate the recipe for my Sunday lunch and film the process using my iPhone 7+... Here is the result, not perfect, but you get the hang of it! First in, olive and sesame oils in equal parts, then shallots and red pepper finely sliced and cooked until soft, then add the aubergines, add pepper and very little salt, as the soy sauce will provide it... Cover and cook for 10-15 minutes. Turn the aubergines half way through. 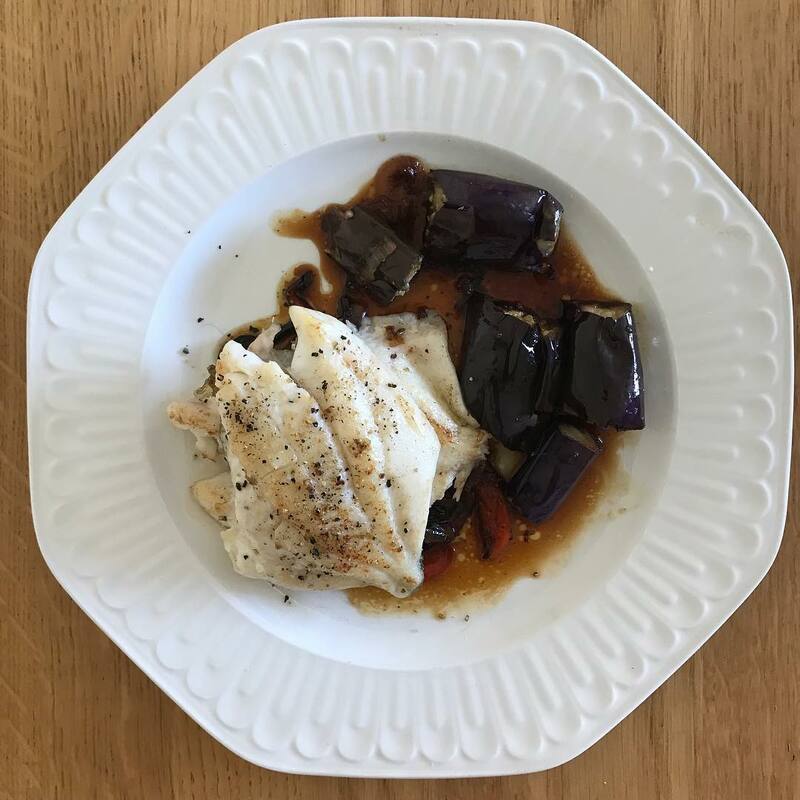 When the aubergines are almost cooked, add the wine, the soy sauce and some white balsamic vinegar, cover and turn the heat off if you are on an electric cooker, or down on gas.